What if you had a chance to ask a loved one for forgiveness – after they died? What would you say? Would you give up your own lifetime of happiness for someone else? Michael Stewart confronts these questions as he travels back in time through a mysterious tunnel in an old church when the Romans ruled with brutal violence and Jesus preached his peaceful message. His teenage daughter Elizabeth soon follows Michael, but is surprised to discover that her father is nowhere to be found. Little does she know that Michael has returned safely to the present, leaving her to battle a vicious Roman soldier. Separated by centuries, Michael is trapped to fight his own battles in the present day. Elizabeth’s disappearance, and the discovery of her blood in his car ignites a rush of judgment as the FBI focuses on him as a person of interest. Michael’s only hope for saving his daughter rests in the hands of his best friend – a local pastor with secrets of his own – and a mysterious old journal containing tales of miracles within the walls of the old church itself. 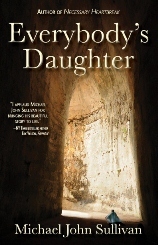 Thrilling and suspenseful, Everbody's Daughter takes readers on a miraculous journey of their own, where salvation can be found in acts of sacrifice and hope remains forever eternal through the passage of a tunnel. My review:After I requested this book to read, I discovered that it was a sequel to another book, so I ordered the other and read it first. This is not a review of the first book, but I did enjoy it. This book (and the first) involves time travel to the time of Jesus. I feel the author did a great job portraying that time period and what it would be like for someone from this time period to step into that time. I enjoyed the book. It was suspenseful - not in the mystery way, but there was drama and the sense of not knowing what was coming next. Plus there were bad guys trying to chase the hero and heroine of the story down. One thing that bothered me about the book, is to me it was kind of up in the air as to the spiritual condition of the main character, and I would have liked to have seen more development in that area. Nevertheless, the book was a great read and was one I did not want to put down until I had finished it. 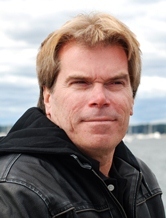 Michael John Sullivan is the author of Necessary Heartbreak: A Novel of Faith and Forgiveness. It was published by Simon & Schuster's Gallery Books imprint in April 2010. The Library Journal named Necessary Heartbreak as one of the year's best in Christian fiction for 2010. He recently finished the sequel, Everybody's Daughter, featuring more memories from his young adult life, including the day he walked to Forest Park as he contemplated taking his own life. Only the strains of a song prevented him from doing the unthinkable. Sullivan lives with his family in New York. He is a nominated board member for the Long Island Coalition of the Homeless. Thanks to B&B Media for the review copy. Thank you for taking the time to read both books. 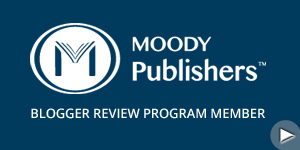 I realize a great effort is involved when reading and then writing a review. The main character's spiritual development is in the beginning stages. I don't want to give away the ending but I wanted it to be clear that Jesus feels the main character is ready now for his true spiritual journey (book three).